With The First Purge now in theaters, I thought I would go back and watch the first three Purge movies. I had never seen them before, and The First Purge's opening gave me a good excuse to finally check them out. I didn't really have very high expectations going in. I hadn't heard the greatest of things about the series, so I was expecting subpar movies. I've always thought that the premise is fantastic. To be completely honest, it doesn't seem like our actual society is very far from enacting something like the Purge, so there is an extra level of scariness accompanying the premise. So, the idea for these movies really resonates with me, and I think there is an incredible amount of potential for some really awesome films. But the impression I've always gotten is that the Purge movies have never really lived up to that potential. I guess I'll be the judge of that now, as I go back and watch all three Purge movies before I see The First Purge. 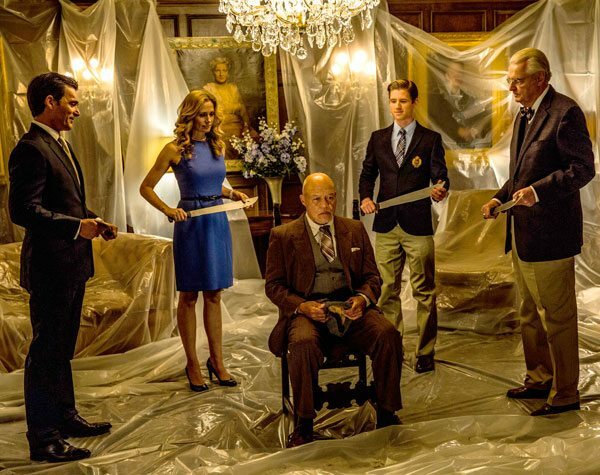 You can read our review for The Purge here. 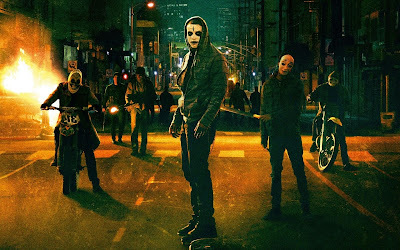 This review for 2014's The Purge: Anarchy will be filled with spoilers, so if you haven't seen the movie yet, check it out before you read this review. While the first Purge is a more self-contained suspense film--all set within one house--Anarchy takes to the streets to show the chaos of Purge night, and I like that decision. The first film was more about a non-Purging family being thrown into the midst of the night, and what happened when a wealthy family experienced the horror. With Anarchy, we get to see how the lower class deals with the Purge; when they don't have a fancy house security system to keep them safe. Throughout the two movies, we have heard how the Purge is politically used to get rid of the poor and to benefit the wealthy, and now we get to see how that is done first hand. Again, I really like the direction this one takes. I just don't think it is as good nor as effective as the first one. Anarchy is more of a grisly action film, and the action sequences are incredible intense. 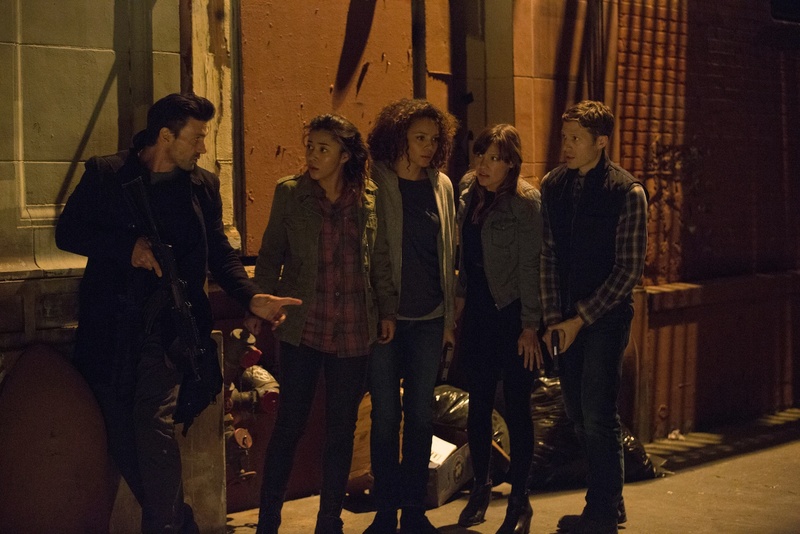 The movie certainly benefits from having someone like Frank Grillo as its lead, who has shown his action capabilities in movies like Captain America: The Winter Soldier and Captain America: Civil War. The omnipresent threat of the gangs taking to the street to purge is visceral, and I kept wanting to look over my shoulder while watching this film. Director James DeMonaco does a great job in making you feel the horror of this night. You understand why so many people hate this holiday, and why you should be scared shitless to be out on the streets during it. In fact, one criticism I have is that I feel like it could have even been taken a step further. There could have been even more madness and insanity shown. We get a few montage shots, like a group of gunmen lining the windows of a school bus as they drive through the streets, but these are only montage shots. I would have liked to have seen more things like this actually present in the film interacting with the main characters, rather than just shown through montages. For me, a reason why I liked the first one as much as I did was because I really bought into the characters. I understood where Ethan Hawke and Lena Headey were coming from, and I was rooting for them the entire time. With Anarchy, I don't feel for the main characters as much. They act more like the vehicles of which we witness the action and horror rather than the heroes I'm rooting for. Sure, I don't want a mother and her child to die, but I never truly felt for them. And that's something that takes Anarchy down a few notches for me. The action and the horror means more when you actually care about the characters. It's what elevated The Purge for me, and it's also what lowers Anarchy. Overall, The Purge: Anarchy is a good movie, but it is a step down from the original. The world-building this film does is its strongest suit. It gives more context to the actual night of the Purge. It further clarifies the New Founding Fathers, and it establishes the resistance movement led by Michael K. Williams. It also gives you a glimpse of what the streets look like on Purge night, and why you should be terrified of it. However, I never bought into the main characters in Anarchy as much as I did with the first Purge. And because I didn't feel for these characters as much, I wasn't as invested in what they were doing and what happened to them. Look, these movies are still better than I thought they were going to be, and I do think they're better than they have any business being. But I had higher expectations going into Anarchy after watching The Purge than maybe I should have, and I was left a little bit disappointed. But Anarchy is still a good movie that adds to the world of The Purge. What do you think? Have you seen The Purge: Anarchy? 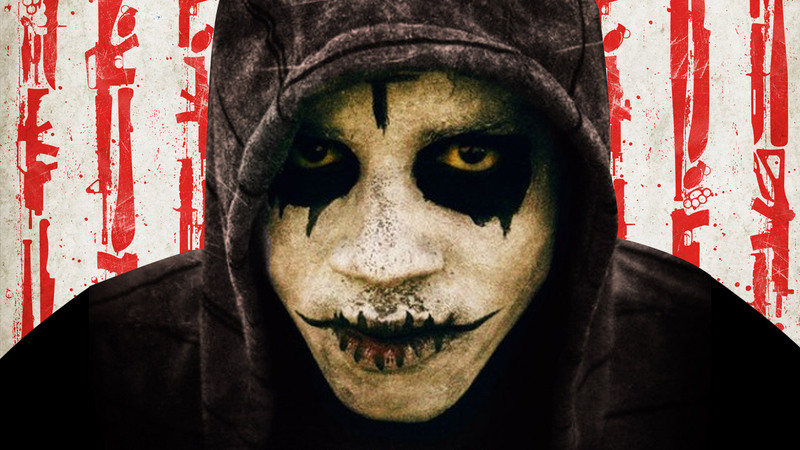 Are you planning on seeing The First Purge? Leave your thoughts in the comments section below.